Oooh, how exciting! I've heard about this (I believe there was a bookring some years ago? ), and it sounded intriguing! Thank you! Reserved as a wishlist tag for crimson-tide. After it had finally emerged from just about the last of the moving boxes, this was a sweet and quick read. This certainly is the hommage to reading it was described as, but I felt it is a hommage to British royalty just as much (or possible even more so). I wonder what Her Highness the protagonist thought of her portrayal? Surely she must have been amused! I'm not all that familiar with the goings-on at Buckingham and certainly can't judge it accurately, but the the Duke of Edinburgh's two-word utterances were among the best character sketches I've seen. Also enjoyed the palace intrigue. I must admit though I'm not as smitten with this book as some; the idea is cute and I did quite enjoy Bennett's writing for the most part, but even though this is such a slender volume, I felt some parts dragged a bit. Also, I'm not sure that writing necessarily "follows from" or "surpasses" reading in any way. Although it is sadly true that reading may not be doing (especially evident when I chose a book over a chore -- again! ), the introspection and insights that reading allows can be put to very good use in other ways. In the mail to Balingup, WA. Woohoo! Arrived safely today as a wishlist tag - thank you linguistkris. I've heard much about this one too, and look forward to reading it. An enjoyable read, although I'm with you linguistkris, in that it didn't quite live up to my high expectations. 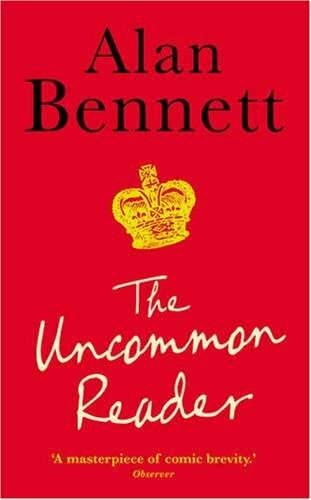 Bennett often chooses lonely, slightly odd, or isolated individuals as his protagonists, and it was brilliant (though somewhat risky) to show the Queen in this light. Following the transformation of the monarch to becoming a reader, with the attending consequences was portrayed reasonably well, even if the consequences were a little overdone. But then that is the whole point, isn't it? The book is many things rolled into one . . . amusing, quirky, insightful, satirical, and poignant. Will be going on a trip over to BigJohnLefty after having been offered up on January's "One book a month offered 2016" thread. Released in the mail today to BigJohnLefty, who is January's winner of my one book a month rabck. Happy reading! Got in mail yesterday from crimson-tide as a RABCK!